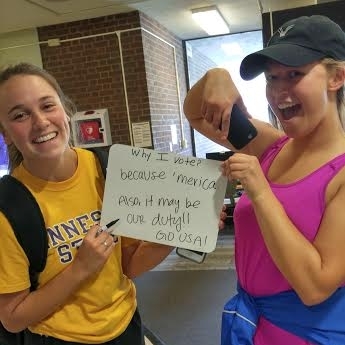 Many students have taken the pledge and have registered to vote on Election Day. 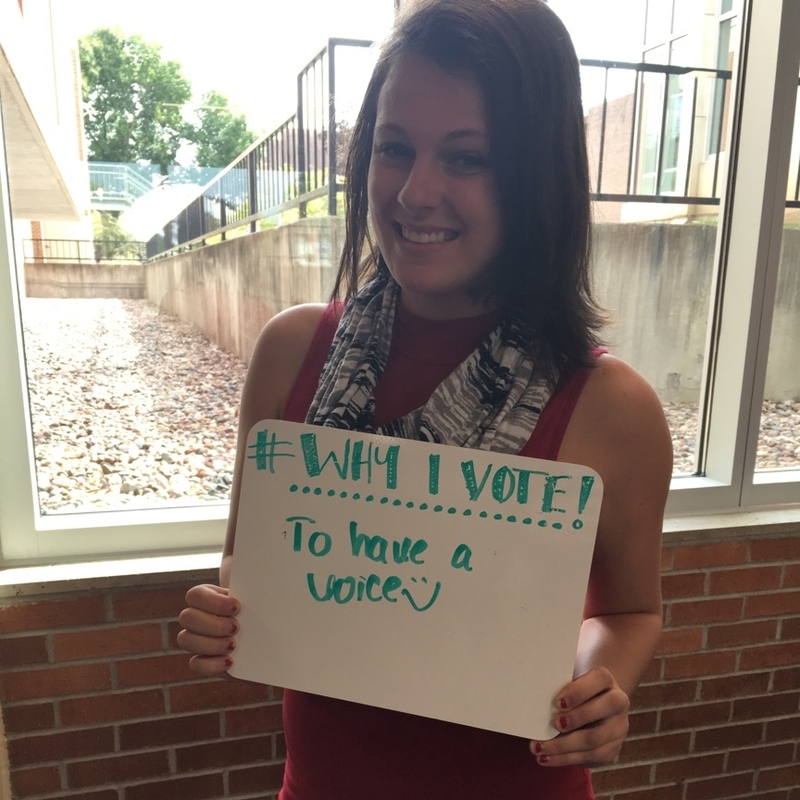 On all seven campuses, students have stepped forward and given us reasons to why they are voting on November 8th. After receiving many great reasons from student of why they are voting, we were curious what our officers' answers would be. So, we decided to ask them. "I will be voting to make a difference for the future. As a soon-to-graduate college student, I'm faced with a challenge of finding a well-paying job to afford living costs, car payments, and student loan payments. Within the next five years, college graduates will be finding a career job, married/starting a family, owning their first home, paying for health care, or even starting their own business. Voting now will make a difference on all these issues for our future, in five years and many years to come." "Voting is, in my view, the most important civic duty one can fulfill. It allows us to have a say in not only what happens in the near future, but also what will shape the long-term trajectory of our cities, states, and our country. I am voting to ensure that everyone, no matter who they are or where they're from, is treated fairly and equally in this country. It is apparent that not everyone is afforded the same opportunities equally and that is a great tragedy. Voting is one such remedy to this problem. The only way we can ultimately secure a prosperous future for us all is to stand together and reject hatred and bigotry wherever we see it. I hope you'll join me and many others and vote for a brighter future on November 8th." "I'm voting because it's one of the few ways we as average citizens get to have as direct a say as possible in how our country, state, county, and city (and special district/political entity not fitting into the previously mentioned) function.It's my opportunity to help decide the paths we take moving forward, and how easy or difficult we make things for ourselves down the road. It's also important to vote because of how difficult it has been for so many people (and how difficult it continues to be). The expansion of the right to vote - from only wealthy, land-owning white males to all white males to all males to all men and women - and the fights that had to be engaged along the way to help get that expansion underline the importance. Voting matters - otherwise the difficulties in expansion and exercising the right wouldn't exist. When we vote, we are saying that we want to have our voices heard and our views expressed. If you don't vote, your validity in complaining about how wrong things are is lessened. There are people who legitimately can't vote who would love to have the opportunity. Take the time. Mark your ballot. Make your voice heard." 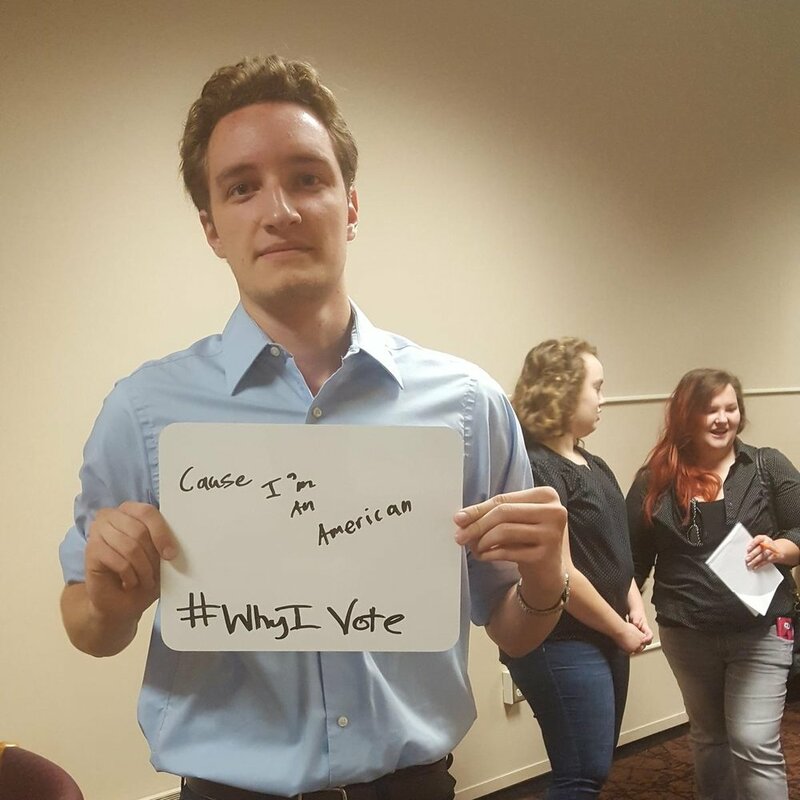 We hope you will take the pledge and vote on November 8th, and also share your own reason to "Why I Vote" with us on Twitter or Facebook along with #WhyIVote.